Born in 1945, Maruti Patil pursued his passion for art in Mumbai where he obtained a G.D. Art (Comm.) from Sir J. J. Institute of Applied Art. He boasts an impressive history of one-man shows and since 1986 he has collected awards from numerous sources including the Art Society of India and the Maharashtra State. With a characteristic vibrancy, Patil continues to explore the emotional realms of landscapes and figure drawing, his two favourite themes. 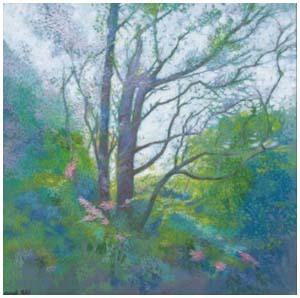 Maruti Patil has found his forte in landscapes and figure drawing. Giving a dreamy aura to everyday elements reflects his eye for dramatization without compromising on the harmony between the elements and the treatment. Figures create their own identity with hightened aloofness against striking backgrounds, which are a prominent feature of his renderings. Strong colours and vibrant hues act as a medium through which Maruti expresses himself beautifully.